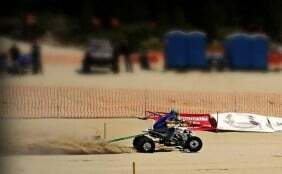 Spectro Oils sponsored pro atv sand drag racer Gary “Gee” Armstrong—headquartered in Florence, Oregon—wrapped up his racing season by winning the 2012 championship title in the Sport Bike 2 Division of the Sand Drag Race Series in the Pacific Northwest. He also claimed second place in the Pro 2 Division. The 24 race series runs from May through October and this year was comprised of a grid of 37 racers from throughout the Pacific Northwest.